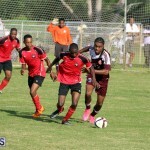 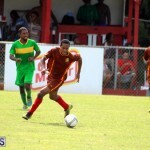 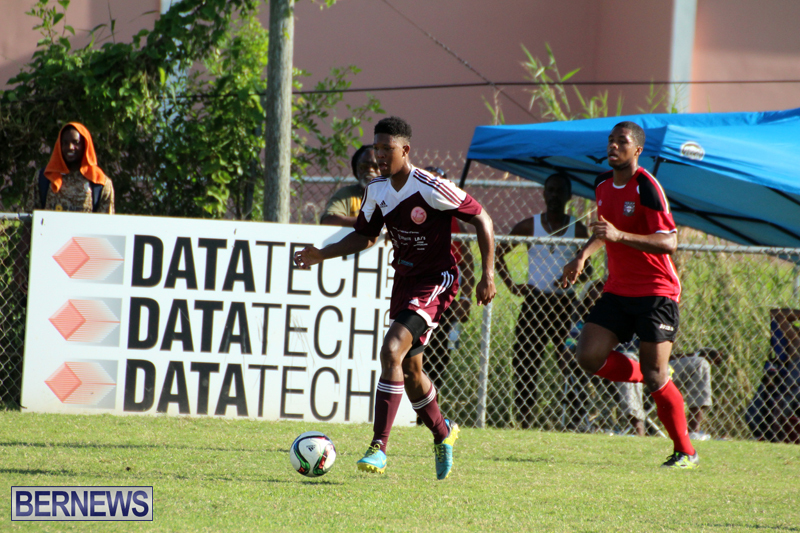 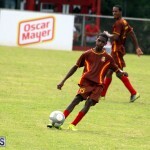 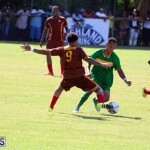 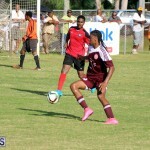 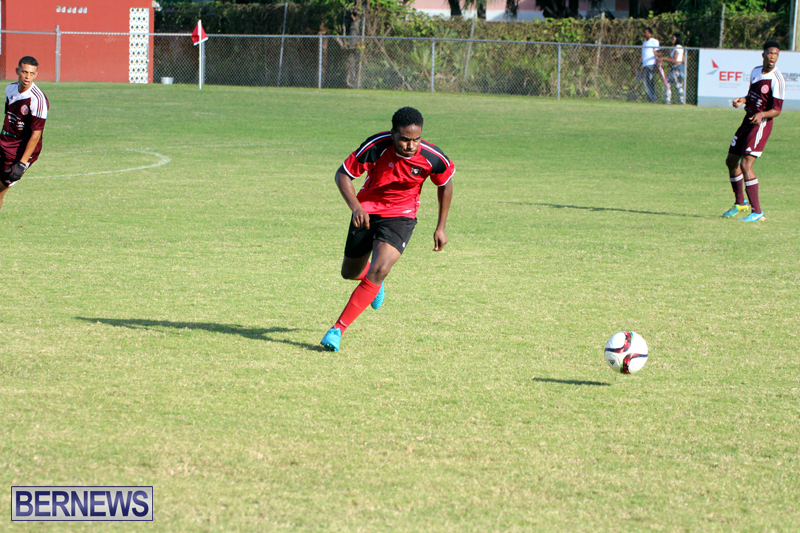 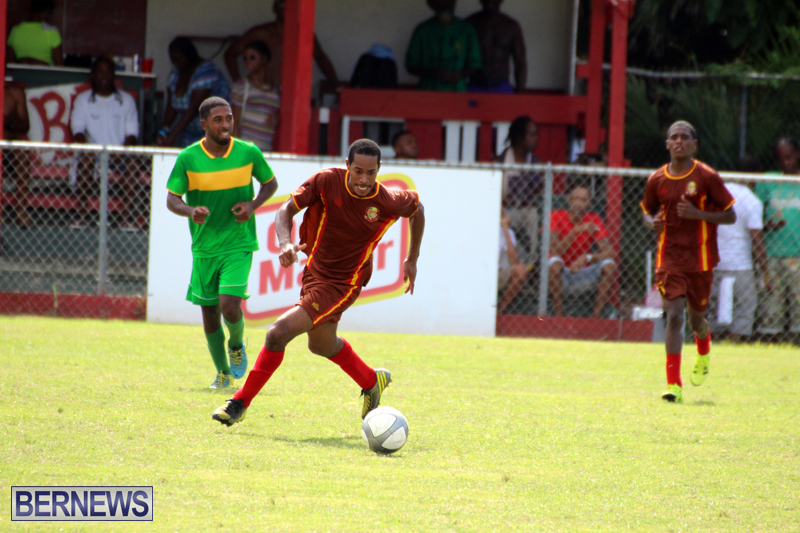 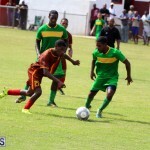 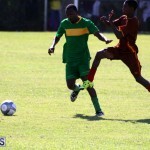 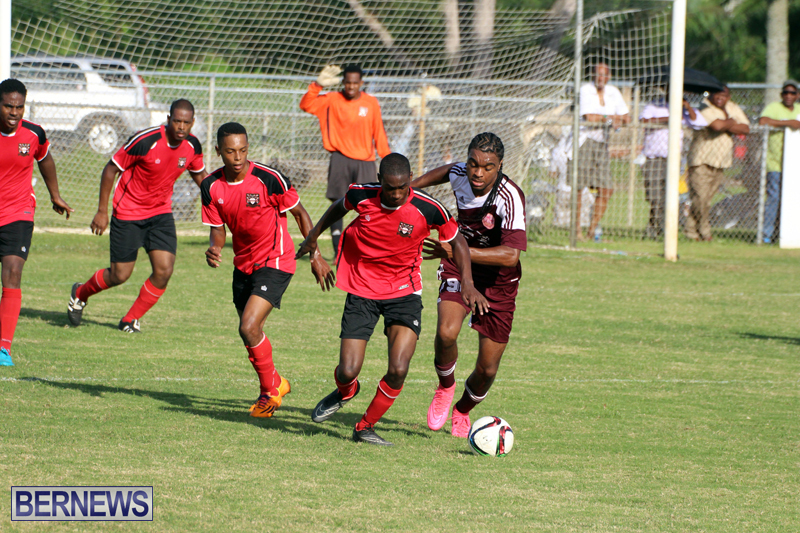 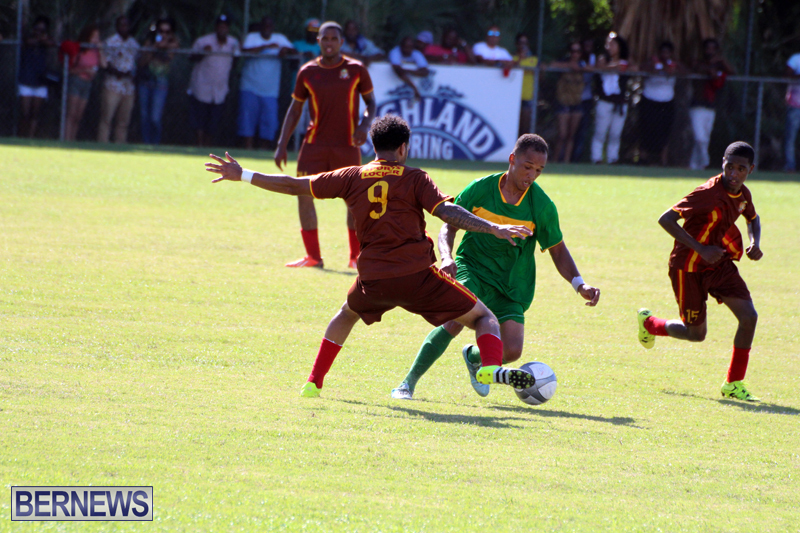 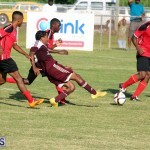 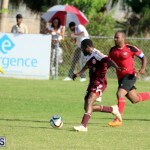 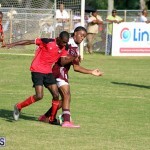 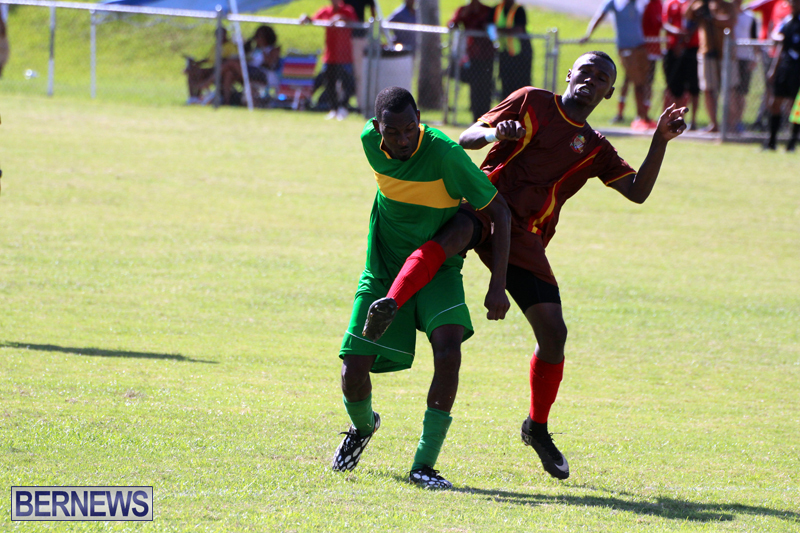 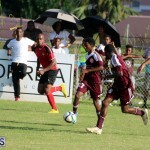 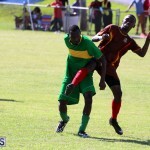 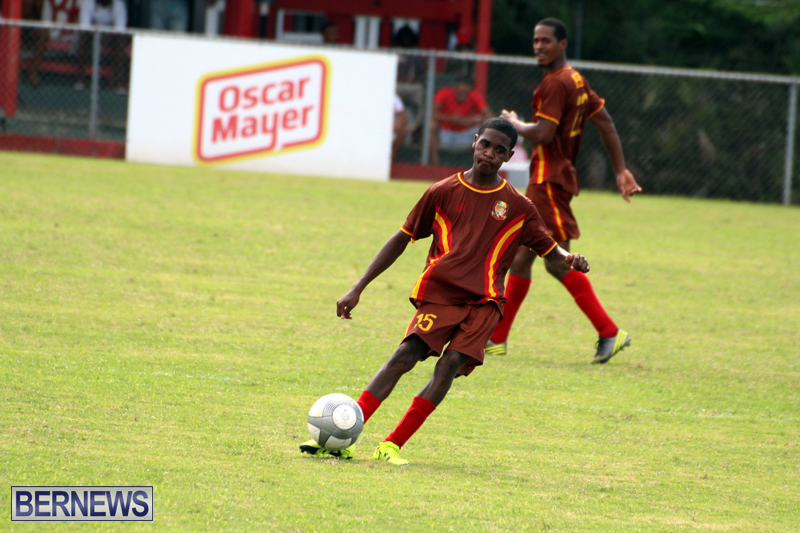 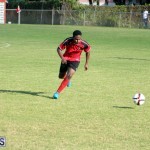 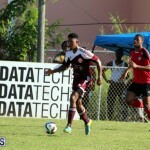 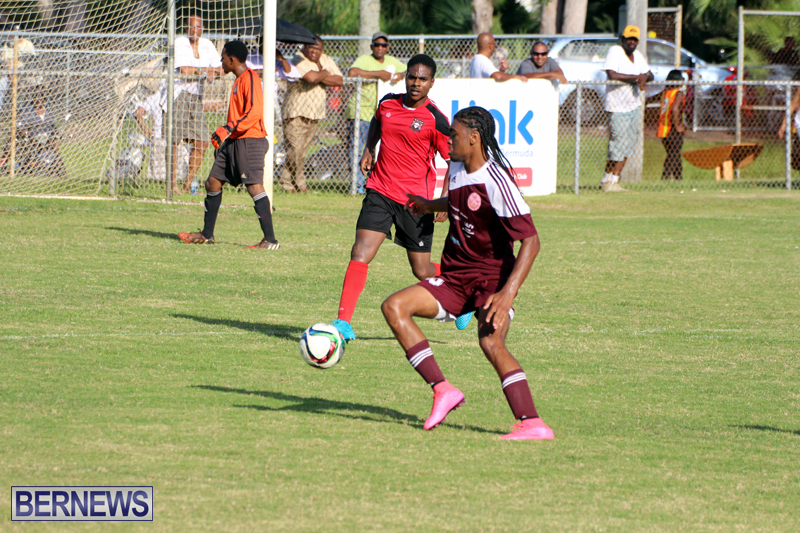 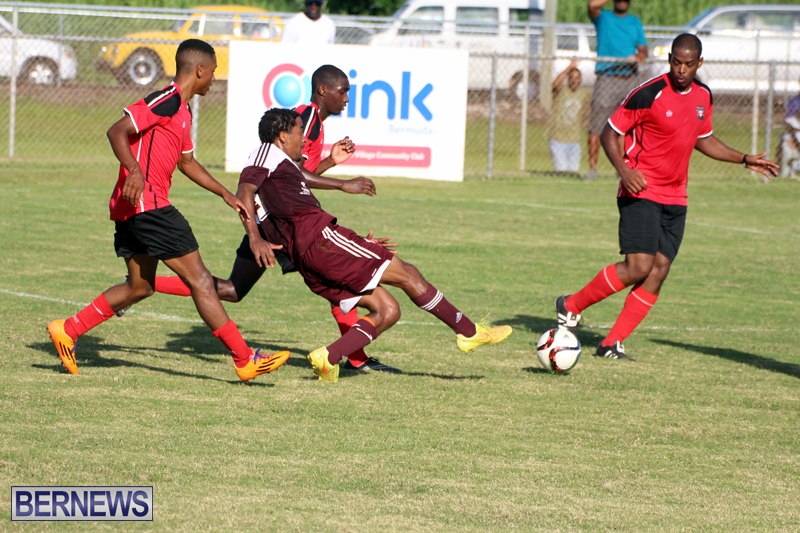 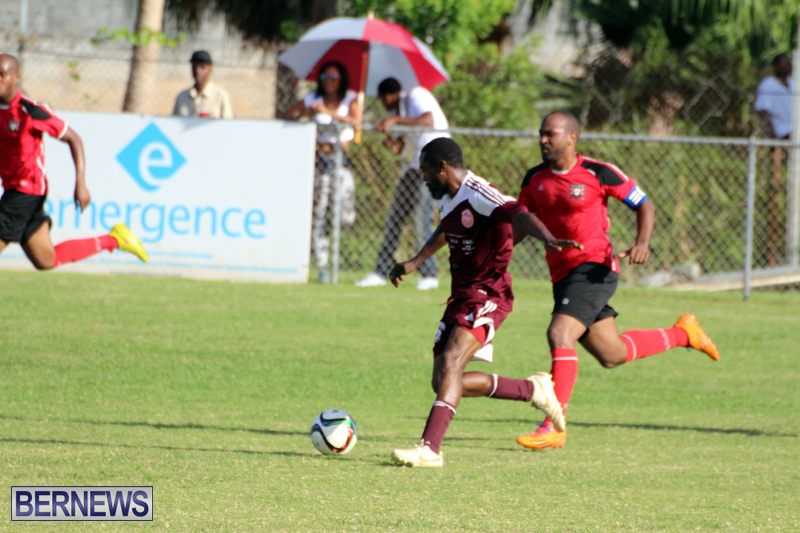 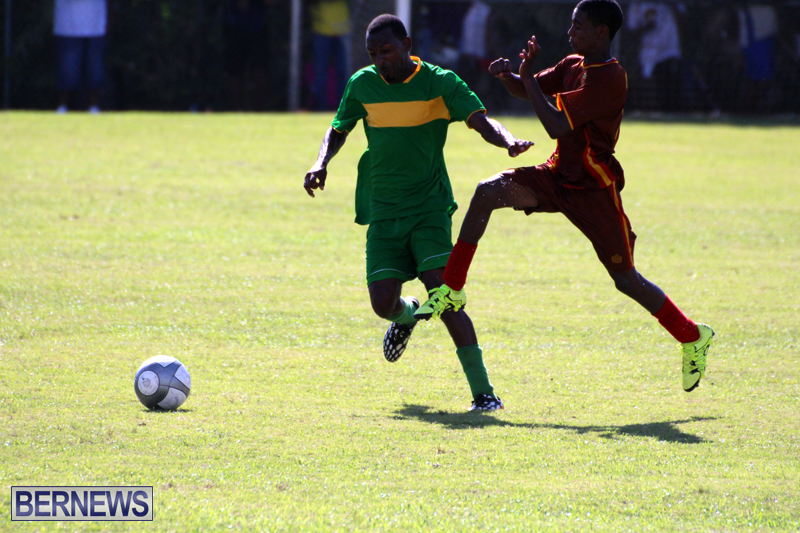 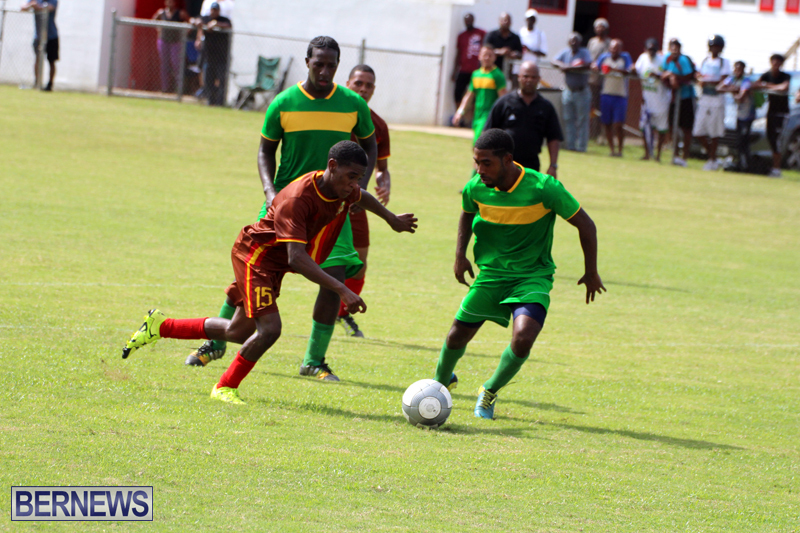 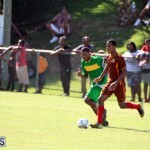 In the most recent round of Dudley Eve football, the Devonshire Cougars defeated the Dandy Town Hornets 2-1, and the Somerset Trojans recorded a 3-1 victory over Hamilton Parish. 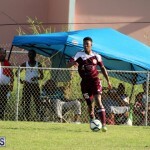 Needing a win to keep their hopes alive to advance to the Semi-Finals, the Devonshire Cougars got a dream start in their match against the defending champions Dandy Town Hornets. 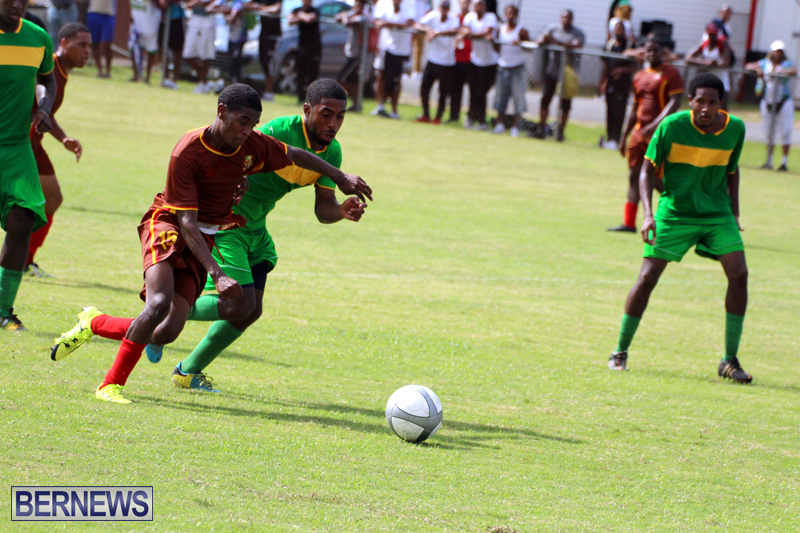 A long ball forward saw Vincent Minors Jr. get to the ball before an advancing Dandy Town Hornets goalkeeper Mikkail Crockwell lobbing the ball into an empty net in the 9th minute, but two minutes later the score was level, a good build up saw Dominique Lambert get on the end of a ball and slammed a right footed shot pass the Devonshire Cougars goalkeeper Kioshon Trott, with n further goals in the half the teams went to the break locked at 1 – 1. 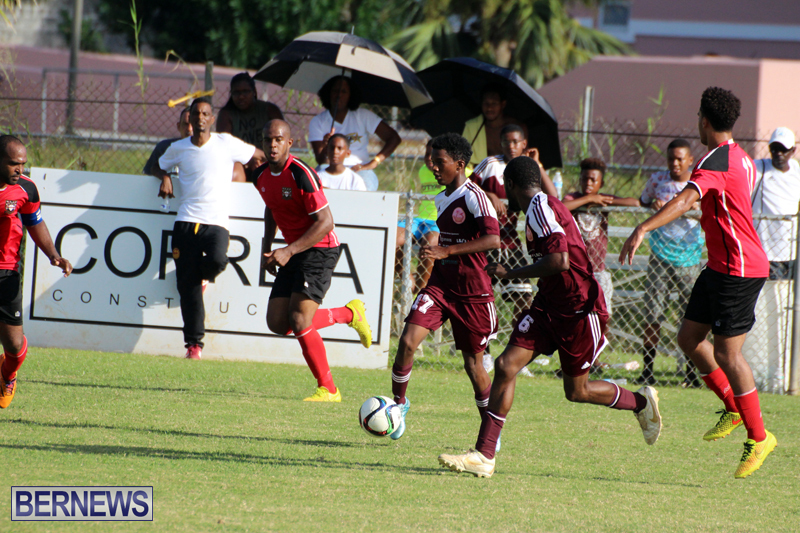 The second half saw the heat effect the pace of the game, which at times slowed to a walking pace, both teams had a goal ruled out for offsides, but it was Minors who produced a gem of a winner. 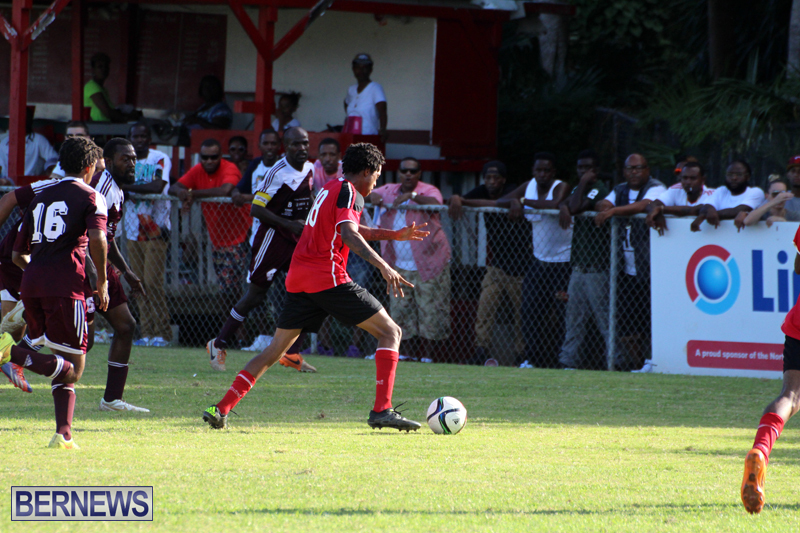 A perfect cross found Minors who’s header was directed back across the goal out of the reach of Crockwell and could not be prevented from going into the back of the net by a defender, the goal proved to be the winner the Devonshire Cougars needed. 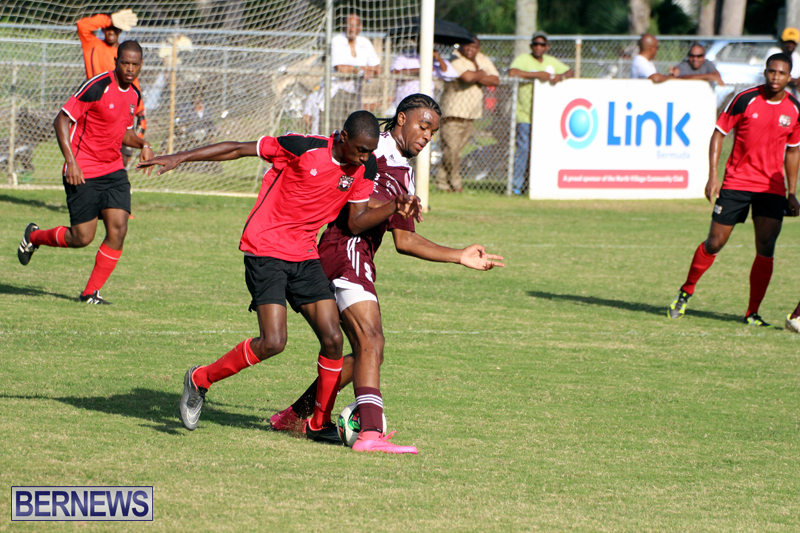 Hamilton Parish were eliminated from the Dudley Eve competition following this 3 – 1 loss to the Somerset Trojans. 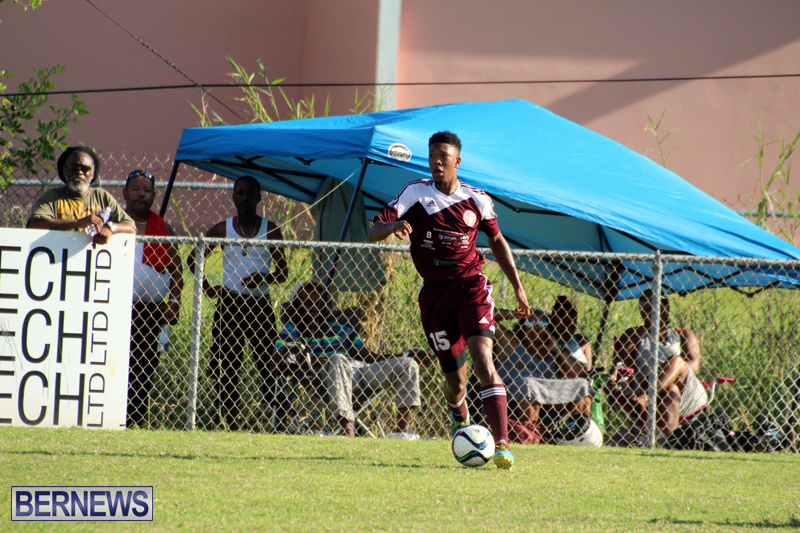 Daunte Woods gave the Somerset Trojans the lead in the 25th minute a lead they would take to the break. 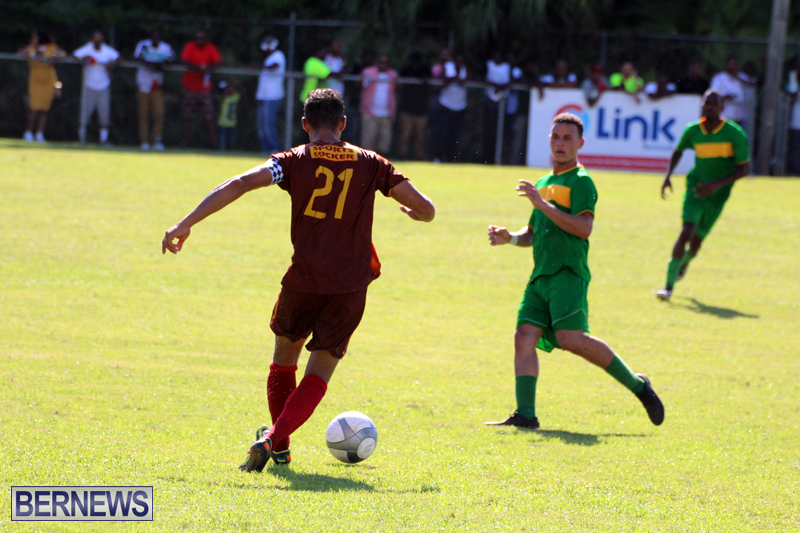 Ayshaun Smith doubled the Somerset Trojans lead when he found the back of the net in the 66th minute, but one minute later Patrick Richardson pulled Hamilton Parish within one. 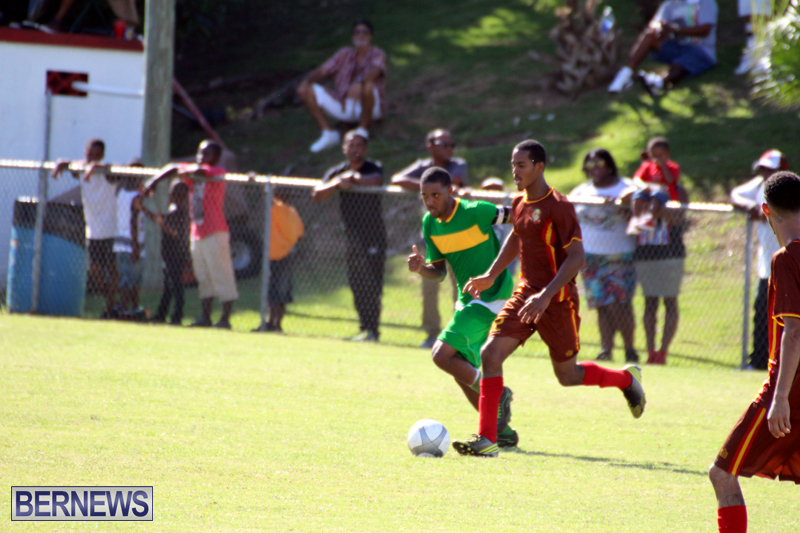 The game was put away in the 90th minute when substitute Tahj Wade scored for the Somerset Trojans to earn the win.